Hearing that you have periodontal disease or “gum disease” can be upsetting. Here at the office of Dennis J. Coleman, DDS, we are committed to educating and assisting patients in preventing gum disease. If you discover that you already have gum disease, don’t despair. We can help you receive gum disease treatment in Davidson, North Carolina. Doctors can identify gum disease after giving you an oral assessment. Here are a few of the signs they may notice if you have gum disease. Whether you are just being diagnosed, working to undo problems of the past, or trying to prevent gum disease for the future, Doctor Dennis J. Coleman has answers. After diagnosing a patient with periodontal disease, we can help them start their gum disease treatment in Davidson. We provide several solutions for correcting serious cases gum disease, such as scaling, root planing, antibiotics and oral surgery. 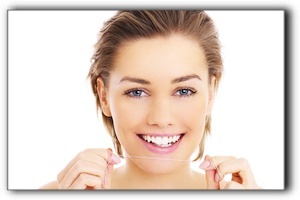 For more information about our procedures, leave us a message on our website. Furthermore, our practice understands that gum disease can sneak up on you. Regular check-ups and consistent oral hygiene are critical for preventing the pain and health issues associated with periodontal disease. Gum disease can be successfully treated, but avoiding it is always the best strategy. Additionally, our practice is equipped with the education and experience to treat almost all of our patient’s dental needs, including cosmetic dentistry, general dentistry, and restorative dentistry. Sports Injuries: Avoid a Broken Tooth in Davidson!